This multi-perfecting cream with self-adjusting pigments, enhances the skin tone, corrects the complexion, and protects your skins youthful appearance. This all-in-one Premium Dermo Corrective Cream acts as a primer, soft covering foundation, day cream and SPF 50 sun-screen, it also hydrates to help prevent the visible signs of premature aging. 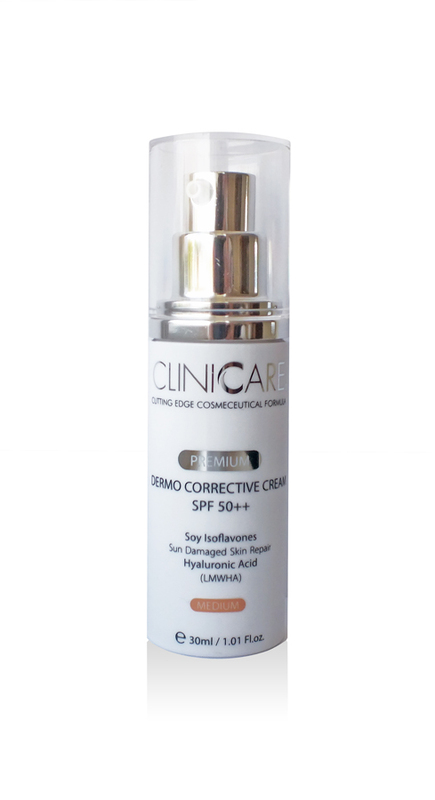 Premium Dermo Corrective Cream provide fast relief and regeneration of irritated skin after various aesthetic treatments, and gives the best protection for the skin after chemical peels, dermal fillers, IPL- and laser therapy, mesotherapy, microneedling and plastic surgery. Suitable for all skin types. Apply small amounts on treatment area with light circular movements. Wait for the self-adjusting pigments to give a natural glow.